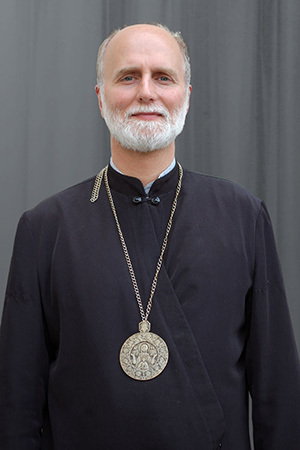 We Have A New Metropolitan! 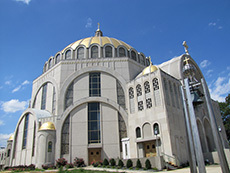 Our Ukrainian Catholic Archeparchial Cathedral of the Immaculate Conception in Philadelphia will be open for visitors Monday through Friday, 9:00am to 12:00pm and 1:00pm-4:00pm. Please come and see our beautiful Cathedral, which is located near the historic area of the City of the Brotherly Love — Philadelphia. WELCOME! Наш Український Католицький Архикатедральний Собор Непорочного Зачаття у Філадельфії буде відчинений для відвідувачів з понеділка по п‘ятницю з 9:00 год. ранку до 12:00 год. пополудні та з 1:00 год. до 4:00 год. пополудні. Завітайте до нашої прекрасної Катедри, котра знаходиться поблизу історичної частини Міста Братньої Любові — Філадельфії. ЗАПРОШУЄМО! 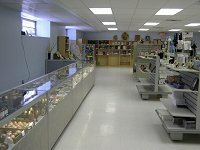 Please call for a Tour of the Cathedral and/or Treasury of Faith Museum at 215-922-2845 or 215-627-3389. Thank you. Please Note: Sunday, 11:45 AM - 12:30 pm will be Catechetical classes. Chapel: Please note the Chapel is located in the Cathedral Rectory, next door to the Cathedral. Please enter from the 8th Street side of the Rectory. 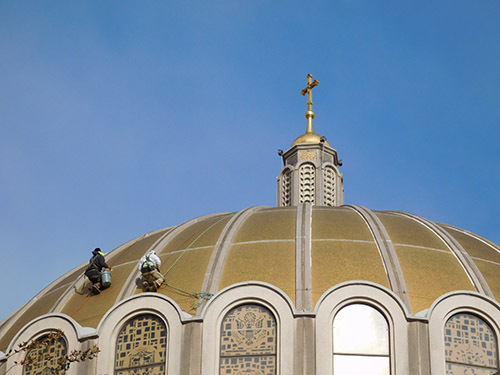 As many of our Parishioners may have noticed there are few roof leaks in our Cathedral, Philadelphia, PA. After contacting a roof repair company it was agreed that there is a need for roof repair by patching and sealing of the Cathedral dome and around stain glass windows. All of this requires a lot of works and leads to expenses. Total cost for this work is $65,000.00. We ask our Parishioners and all the people of good will to support this project. 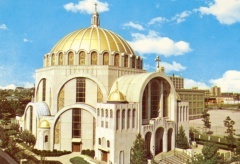 Please make your generous donations to the Ukrainian Catholic Cathedral.